Monday, Jan. 14, 2019, 12:30 – 1:20 p.m.
How can we challenge ourselves? And what is leadership anyway? 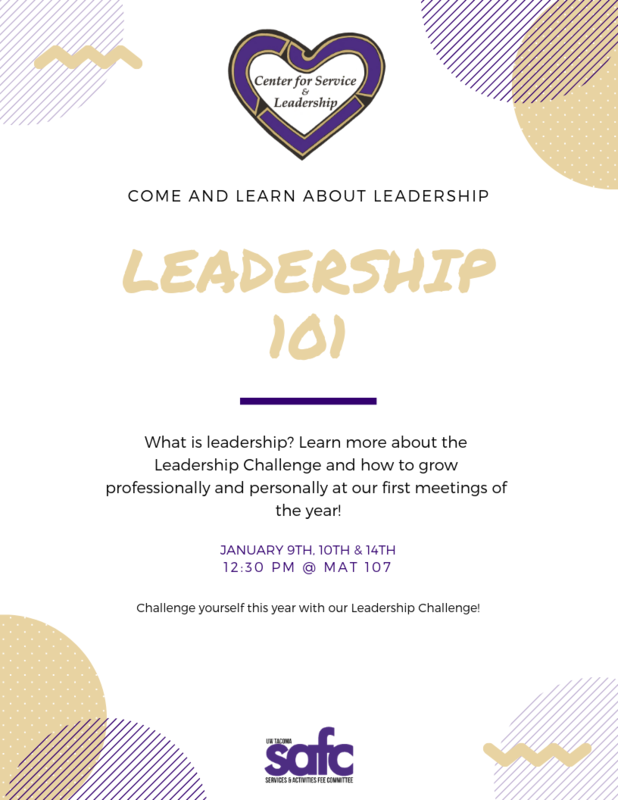 Join us as we create our own definitions of leadership. And take on challenges that build positive personal and social change! * This leadership challenge counts toward the LEAD certificate. More about the LEAD Certificate Challenge here.